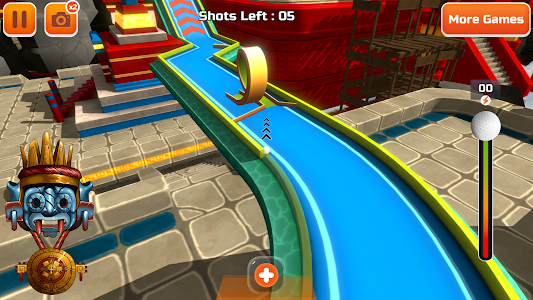 Multiplayer and offline Mini Golf Game in one! Win coins and buy cool things! 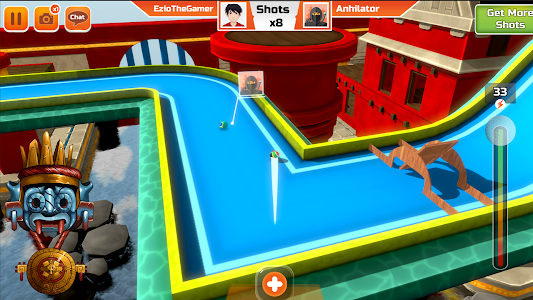 Challenge the whole world in Mini Golf 3D Worlds Stars Clash, with the brand new real-time multiplayer function! Multiplayer mini golf magic competition showing your own avatar and giving you time to practice before the real match begins. Unlock new achievements, chat with standard lines, play Micro Golf 3D Worlds Stars Arcade and compete against real players from all around the globe. The update also comes with a cloud save function, so you won’t lose any progress, and new coin packages you can buy to use in the golf game. It is time to relax, so stop the rush and play golf. 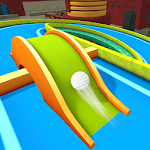 Get ready to join the tournament and be the number 1 minigolf champion! 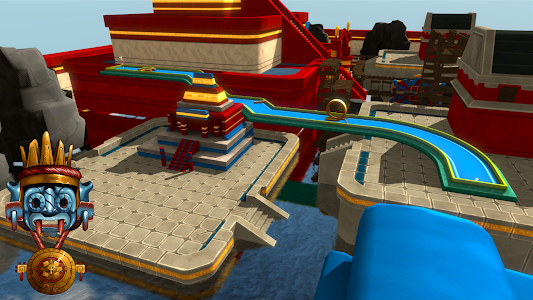 Experience the clash world of arcade mini golf rivals in Aztec El Dorado World. Mini Golf 3D Worlds Stars Arcade is a free mini golf paradise with incredible 3D effects that keeps you playing, as more content and functions are added each month. 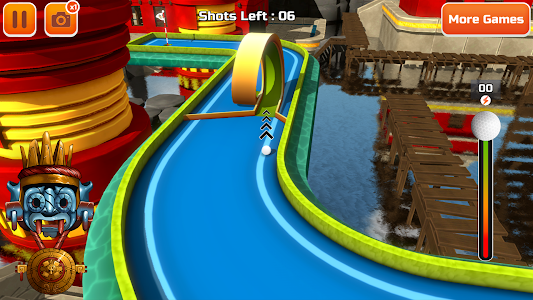 The game has 245 putt-putt courses, each designed with a unique series of challenges. Let the golf ball run in the right way and make the ultimate winner. Carefully choose the right angle with the arrows, use the button for strength, and find creative ways to putt your ball in the hole before you are out of shots. 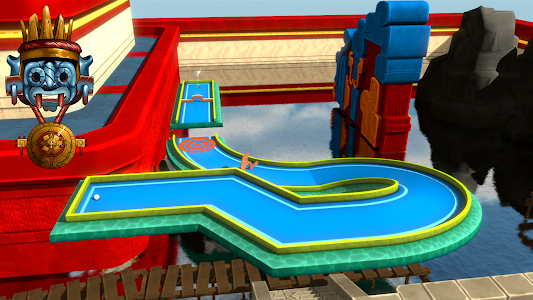 Master funny challenging obstacles and dynamic objects such as jumps, spinning bars, slopes, holes, and loops. 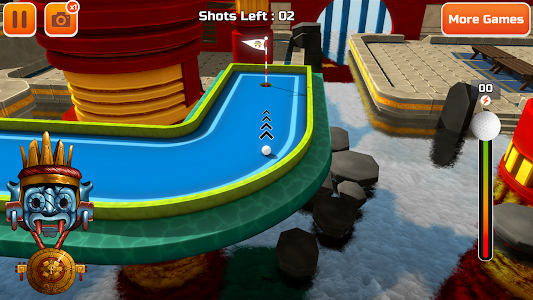 Show your best mini golfing skills, in single putter player mode & online real-time multiplayer mode. ★ Cloud save function for Sports Video Games! ★ Rise up as a golf star! 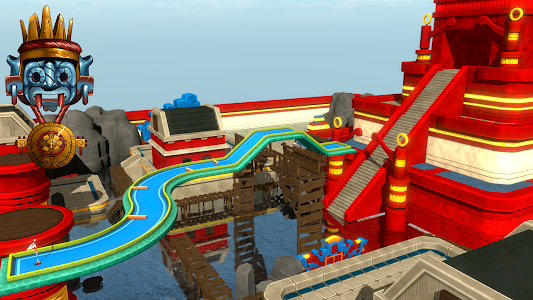 • NEW Arcade levels starting from level 1. • We reduced the advertisements! • Big gaming experience improvements! • Bigger putt in all levels. • Ball stopping physics improved. 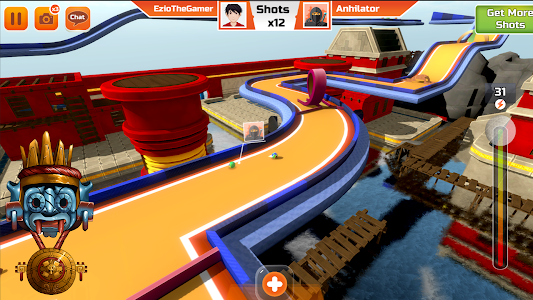 Similar to "Mini Golf 3D City Stars Arcade - Multiplayer Rival"